Peter Thomas is a Reader in Plant Ecology at Keele University (UK), and a well known author of a number of excellent books about trees e.g. Trees: their natural history. He has just produced an important new study on the ash tree, published this week in the Journal of Ecology, and entitled - Biological Flora of the British Isles: Fraxinus excelsioron. Click here for a link to the article which can be downloaded as a pdf. To quote from the summary, the study essentially reviews current knowledge "on all aspects of the biology of F. excelsioron that are relevant to understanding its ecological characteristics and behaviour." Some of the "findings" have been headlined in the media this week. Click to view on-line reports from the bbc the guardian and the telegraph. 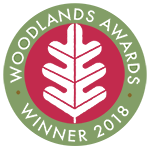 The focus of interest and concern is that, quoting from the summary, "ash health and survival is currently seriously compromised by ash dieback caused by the fungus Hymenoscyphus fraxineus (Chalara fraxinea) that has the potential to kill all but a very few resistant trees. 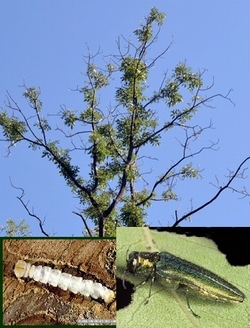 Moreover, the emerald ash borer beetle Agrilus planipennis, a serious pest of ash species in N. America, has reached Europe (though not yet the British Isles) and poses an equally if not more serious long-term threat to ash." The report indicates that ash is one of the most abundant tree species in the UK. Most recent estimates (2013) suggest that ash is the most common hedgerow tree, an order of magnitude more abundant than the next most common species Acer pseudoplatanus (sycamore) with more than 60,000 miles of tree lines. 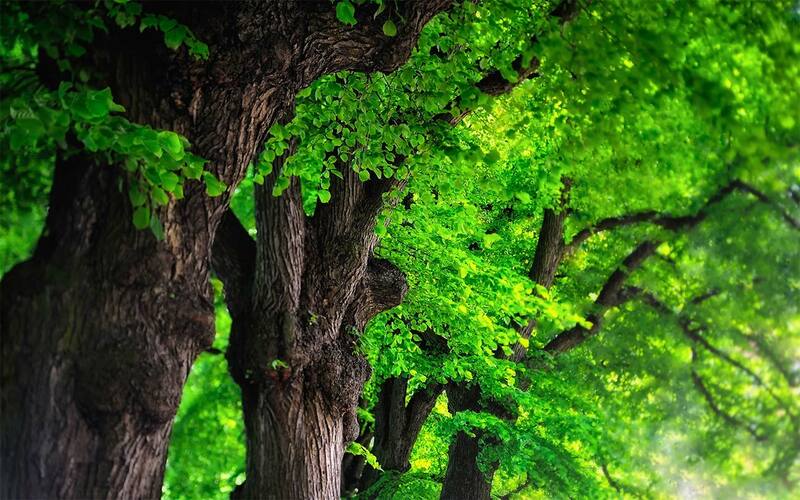 It is the second most common tree in woodland, after the oak, and there are many ash trees in towns and cities. "If the loss of ash due to ash dieback and the emerald ash borer becomes severe, which appears highly probable, this will cause large-scale change to many communities and many associated organisms will also decline." Over a 1000 species across all taxa, from birds and mammals to lichens and fungi, associated with ash and ash woodland could be susceptible to severe declines in numbers or local extinction. Recent research suggests that some ash clones are resistant to ash dieback, so a breeding programme might be able to produce trees that can survive the fungus. However, resistance to dieback will not protect trees against the emerald ash borer. Anyone working with or interested in trees will find this paper worth examination. It is well written, comprehensive and includes a lot of detailed and useful information on other topics than just ash disease. It is also well referenced.